Davison client and corporate inventions have reached tremendous big-brand success, thanks to a PepsiCo North America license held by a corporate partner we’ve aligned with for years to bring products to store shelves – Jokari/US, Inc.! After following our product development process, our client’s Can Pump invention became a staple in Jokari’s unique collection of innovative beverage gadgets. For years, Jokari sold the Can Pump in its original design and packaging. 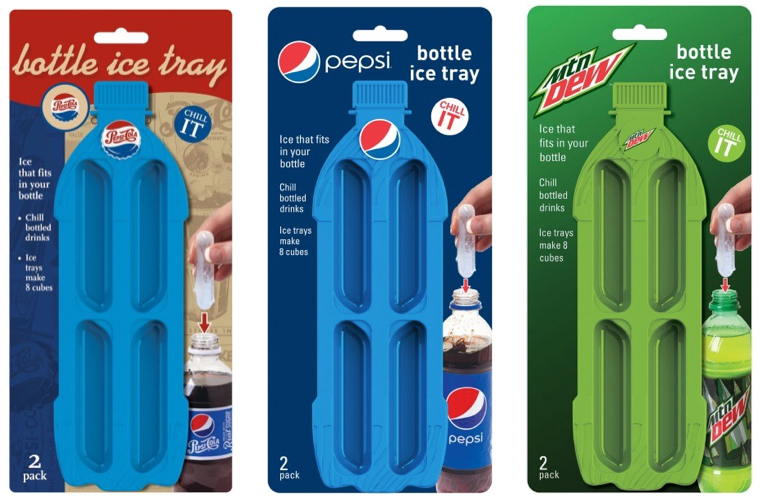 Well, the product has evolved and is now part of Jokari’s Pepsi Heritage, Pepsi Modern and Mountain Dew collections! We can’t think of a Better Way to drink your favorite fizzy soda than with the help of a Davison client invention that keeps open cans of soda from going flat! Founder and CEO George Davison’s own invention, the Bottle Ice, has realized the same success as it now falls under the same new Jokari collections as the Can Pump! Here’s to a huge evolution and success of Davison client and corporate inventions! If you’re ready to start your inventing journey, confidentially submit your idea today.